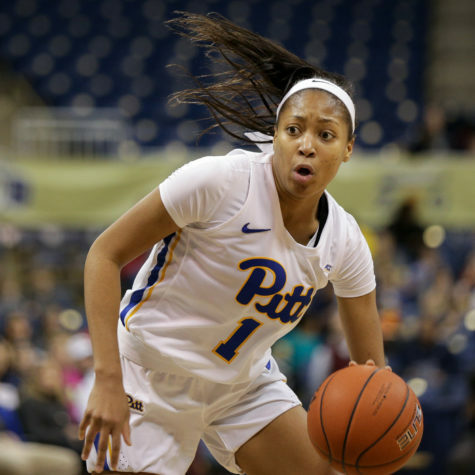 The Pitt women’s basketball team had a great opportunity Sunday to win its second straight game and move back above .500 with two games left in the regular season. Instead, the Panthers’ chances at a winning season took a serious hit in Atlanta, Georgia. 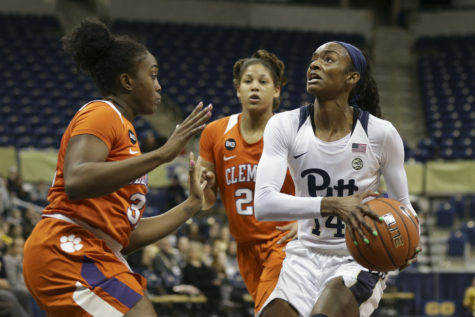 Pitt (13-14 overall, 4-10 ACC) fell to the Georgia Tech Yellow Jackets (15-12 overall, 4-10 ACC), 71-57, after three quarters of even play. As has been the case on multiple occasions this season, the Panthers faded in the fourth quarter after 30 minutes of competitive play. This time, though, it wasn’t against a nationally ranked program like Louisville. Georgia Tech entered the game with a 3-10 record in conference play, representing Pitt’s most winnable matchup left on the schedule. 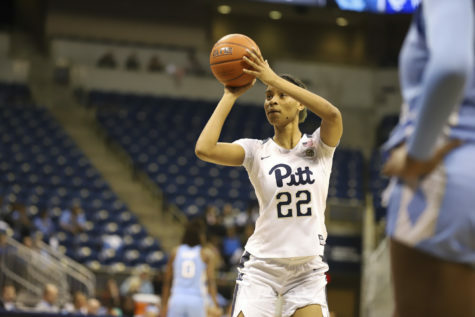 Georgia Tech guard Francesca Pan led all scorers on the afternoon with 20 points, while junior point guard Aysia Bugg finished with 15 points for Pitt. 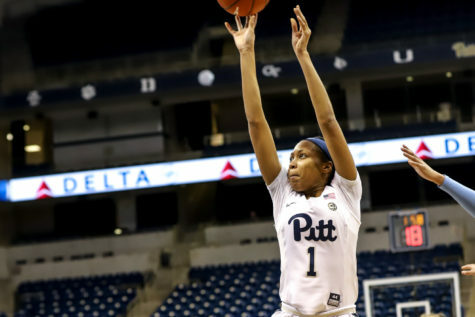 Panthers sophomore forward Brenna Wise finished with 13 on 6-of-6 free throw shooting, just three days after scoring a career-high 31 on 13-of-13 foul shooting in a 72-64 win against Virginia Tech. 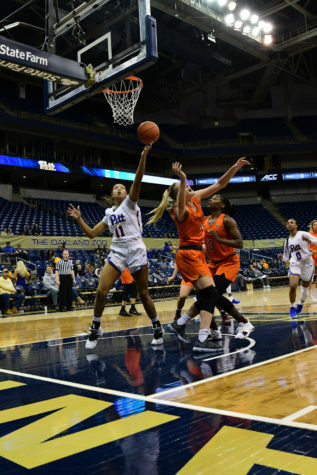 Sophomore forward Kalista Walters started the game with a layup to get Pitt on the board first, then Pan struck back with a 3-pointer to give the Yellow Jackets the lead. 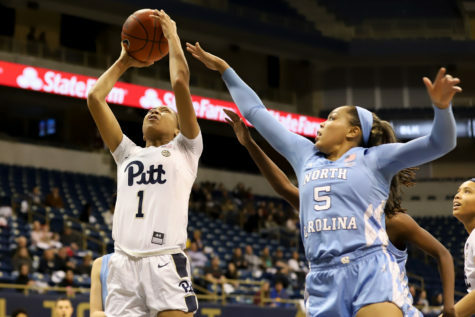 The Panthers scored the next six points to go up 8-5, but Georgia Tech closed out the first quarter with 13 of the final 17 points to take an 18-12 lead into the second. 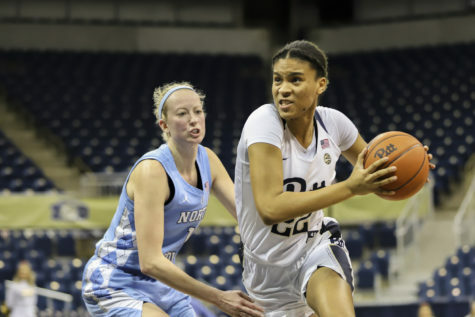 Forward Zaire O’Neil continued the Yellow Jackets’ run with a jumper to open up the second quarter, then a jumper from Pitt graduate transfer Destinie Gibbs made it a 20-14 game with 8:31 remaining in the first half. The teams then traded a pair of threes and went back and forth for the duration of the half. 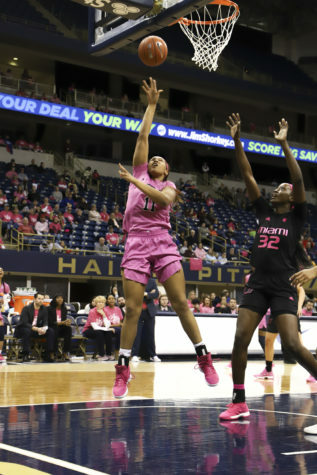 Georgia Tech led 34-29 with just over a minute left, then sophomore forward Kauai Bradley drained a three for the Panthers to make it 34-32 going into halftime. 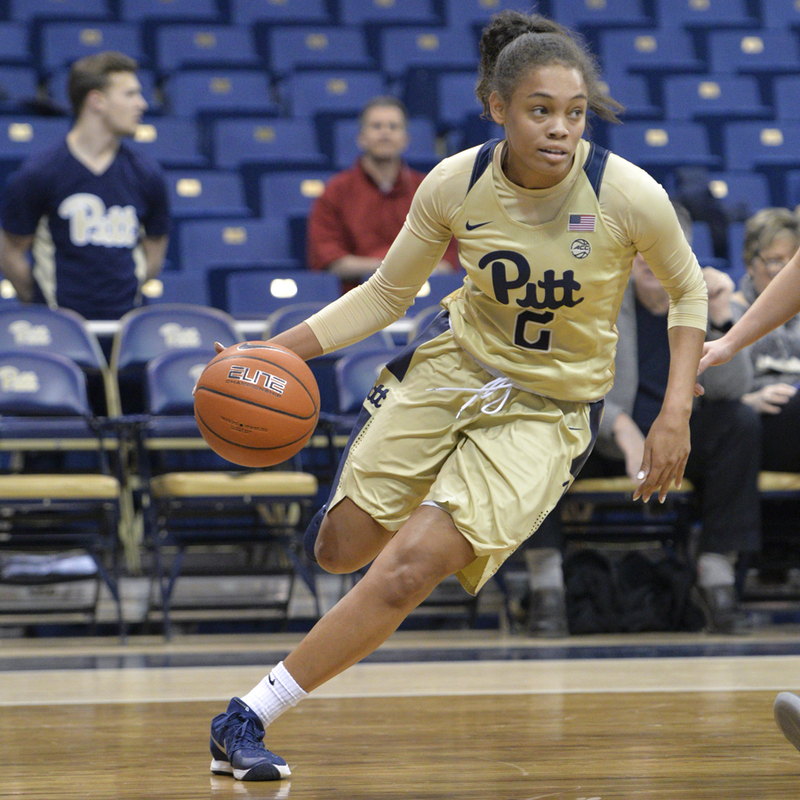 Pan led all scorers with 16 points at the break, while Bugg had a team-high 11 points for Pitt. The Yellow Jackets shot 5-of-8 from beyond the arc in the opening 20 minutes, while the Panthers went just 1-of-8 before Bradley’s triple made it a two-point game. An evenly contested third quarter saw both teams score 15 points apiece. Forward Elo Edeferioka posted the first points of the second half with a quick layup for Georgia Tech. 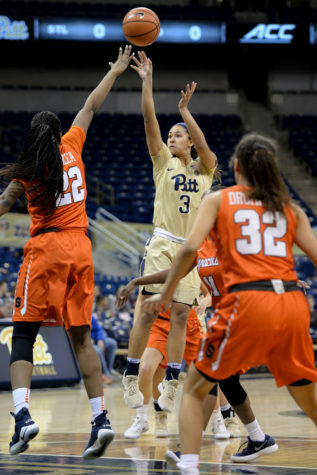 Walters came right back with a layup for Pitt, then Pan and Bugg traded a pair of jumpers. The Panthers tied the game at 47 on a layup by Bugg, but couldn’t take the lead. After a jumper by Edeferioka, the Yellow Jackets held a two-point advantage going into the final quarter. Walters tied the game again with a layup early in the fourth, but that’s when Georgia Tech took control. A layup from O’Neil put the Yellow Jackets back on top, then Georgia Tech used four free throws and a layup to take a 57-49 lead. A jumper from Walters cut the gap to six, then Yellow Jackets guard Antonia Peresson and Wise traded 3-pointers to make it 60-54 with 2:27 to play. It was all Georgia Tech from there, as the Yellow Jackets went on a 9-0 run to go up by 15 with 32 seconds left and effectively seal the 71-57 win. Now, the Panthers will have to defeat both No. 4 Florida State and No. 21 Syracuse in order to finish the regular season with a winning record. 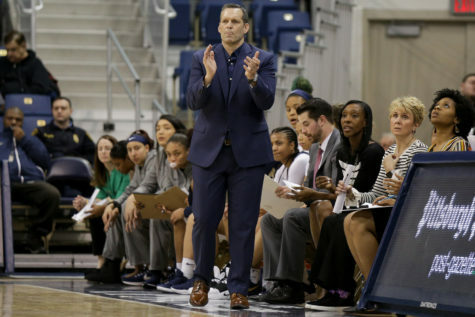 They will travel to Tallahassee, Florida, to try to shock the fourth-ranked Seminoles at 7 p.m. Thursday, Feb. 23.